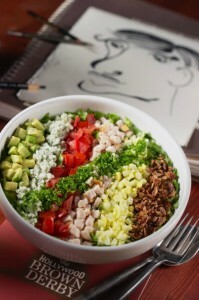 Approximately 63,000 Cobb salads are served every year at The Hollywood Brown Derby at Disney’s Hollywood Studios. The original recipe for the dressing, created in 1926, still tops the salads. “The Cobb” was invented at the original Hollywood Brown Derby by restaurateur Bob Cobb.